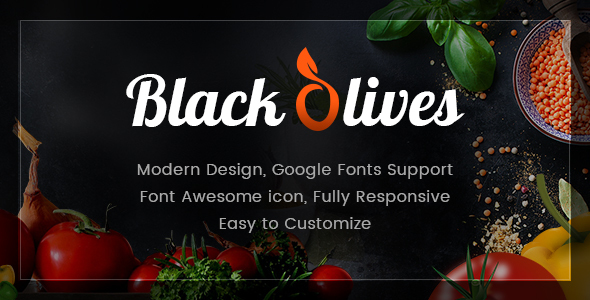 Blackolive – Food & Restaurant is a professional responsive site template coded with Bootstrap framework. The template comes with a creative design. The design is very elegant and modern, and also very easy to customize. This template is specially designed for Restaurants, Cafe, Cakes, Cooking, Bakeries, Pub & Sweets or Food Business websites. templates have features like About us, Tema section, gallery, blog page, Showing available food menu and their prices. We hope so you will feel happy with them. If you purchase this template, you will get support for a lifetime. We will update this template time by time and we want to hear your wishes for the future updates or for complete new templates. * Images are not included in the download file! - Fixed : Responsive Menu issues in mobile and tablet devices.